Entertainer, Brad Boland, will perform his tribute to Elvis, at a private RWTO/Hamilton-Wentworth luncheon, Wednesday, February 7th, 2018. Photo Credit: Luke Boland. As a follow-up to the enjoyable morning that I spent with the members of RWTO/Hamilton-Wentworth’s writing group, I am posting the bio and contact information for entertainer, Brad Boland. Brad will entertain with his An Hour of Elvis show at RWTO/H-W’s Friendship Luncheon, a private function, in February. While not strictly an ETA, Brad does perform a tribute to Elvis, which makes him part of the ETA world. I appreciate Brad sending along his information for me to share in Focus On. Entertainer Brad Boland. Photo Credit: Luke Boland. Brad Boland was born in Niagara Falls Ontario in 1973. Brad's interest in music started at a very young age and has become his passion. An introduction to music that started with piano lessons in his younger years, cultivated into a love for music that led him to an interest in drums, guitar and his forte - vocals. Brad has been described as a "vocal chameleon" because of his unique way of sounding like the original artist he is performing. Many have told him they thought it was a recording they were listening to. His repertoire is so versatile that it spans an era of music from the 1920s to today, which is pleasing to all ages. Brad found a niche market by entertaining in retirement/nursing homes throughout the Niagara Peninsula and Toronto. Although a bulk of his business is driven by this avenue, Brad is also very much in demand for many corporate and private functions as well. On occasion, Brad is accompanied by his son, Miles, who performs right along beside his dad, adding great harmonies and lead vocals on some of the songs. You can find out more about Miles and his dad by checking out his website at www.bradbolandentertainment.com. If you are looking for entertainment for your next party or function you should contact Brad Boland, your guests will be glad you did. An Hour of Elvis with Brad Boland. Photo Credit: Luke Boland. The legend of Elvis continues to capture the imagination and interest of fans of all ages. You "Can't Help Falling in Love" with Brad Boland as he gets you "All Shook Up" with a performance that is sure to please. Many have said, "I thought it was a record playing," only to be stunned that "Brad was in the building". Brad resembles the younger Elvis wearing the gold jacket that Elvis wore in 1957. Brad performs strictly with background tracks while holding and playing guitar. He considers his Elvis performance more of a tribute to Elvis than an impersonation. 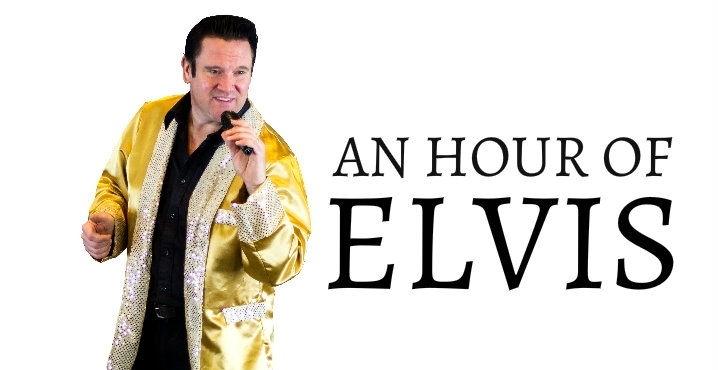 If "An Hour of Elvis" interests you for your next event, please contact Brad at 905-358-6992. An Elvis Christmas with Brad Boland. Photo Credit: Luke Boland. Brad takes the stage to celebrate a special tribute to Elvis performing Elvis's greatest Christmas carols and songs of inspiration such as: Blue Christmas, On A Snowy Winter’s Night, Here Comes Santa Claus, If Every Day Was Like Christmas, and many more favourites. He'll be sure to inspire the Christmas spirit in everyone, and your group will experience "The Wonderful World of Christmas".